Heading to England and a 1 day London itinerary? Then this is for you! Perfect for those thinking ‘I have one day in London what should I do’? Well, you are in luck with my long overdue of a local’s guide on how to see London in one day with all the cool must-see sights in the London. Even better is that no transportation is required with this guide so you will need a good pair of walking shoes. (You can bring the heels in your bag for when you want that Instagram full length shot.) With this one day in London guide, you won’t need to spend time trying to figure out our underground so you can explore cool London attractions like Big Ben, Buckingham Palace, London Eye, St Pauls and Tower Bridge. 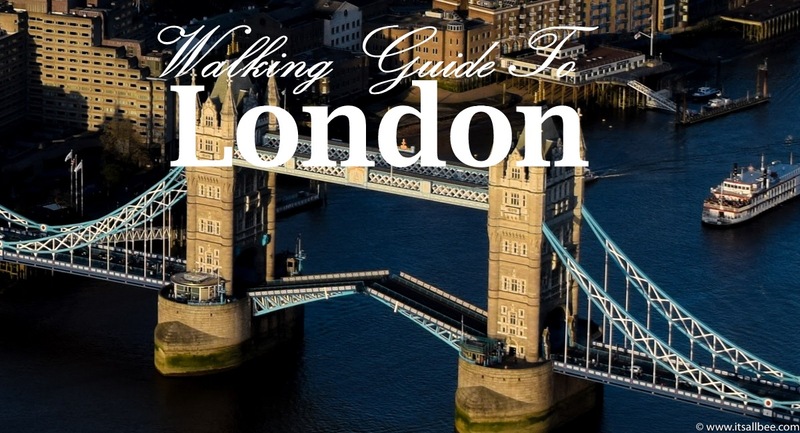 A lot of this guide is a self-guided tour of London that mostly only requires money for a cup of coffee when you get thirsty or need to take cover from the rain. There are lots of stops along the way to taste amazing food. All calories that you will burn off on this walk anyway. 2.1 9 am | Start The Day With A Hearty Breakfast In Covent Garden. 3.1 Enjoyed it? Share and Pin for later! Take in views from the Shard and grab a cocktail. Below you also have a map to help you navigate the city place you must see in London in 1 day. You can also click on with previews of what you will see and do along this guide. Also, look out for a guide to shopping in London as well as all the best markets you need to check out when you visit London as well as where to stay when you visit London. I will be covering all budgets for that so make sure you Subscribe so your don’t posts when they publish. 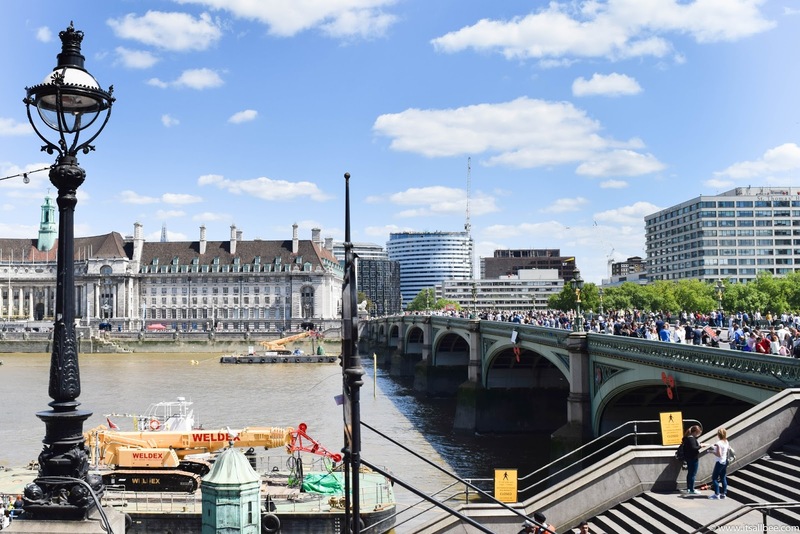 For those that may have more time or prefer a guided tour of London then check out Viator Toursand Get You Guide for not only one day London itinerary style tours but ones that also include day trips out of London. 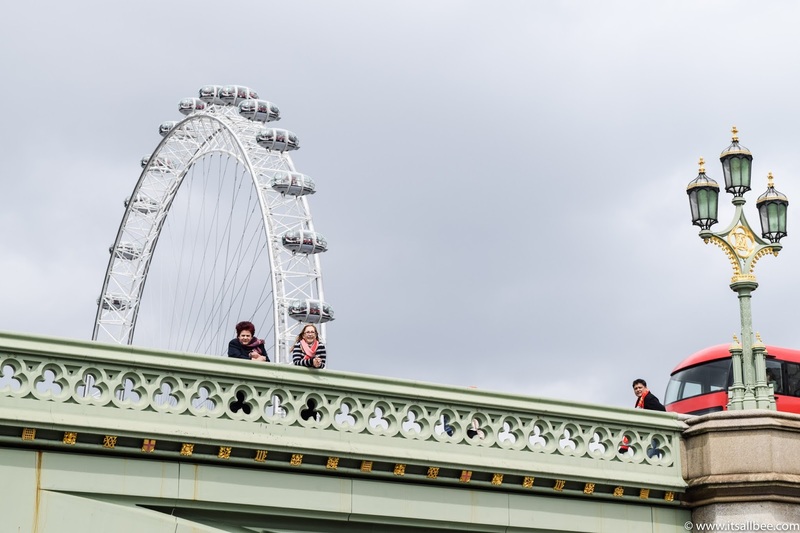 Tours help maximise your time especially if you want to tips on how to see London in one day. They take you through all the highlights and if you have a second day to play with you can revisit some spots and spend more time in places you liked the best. 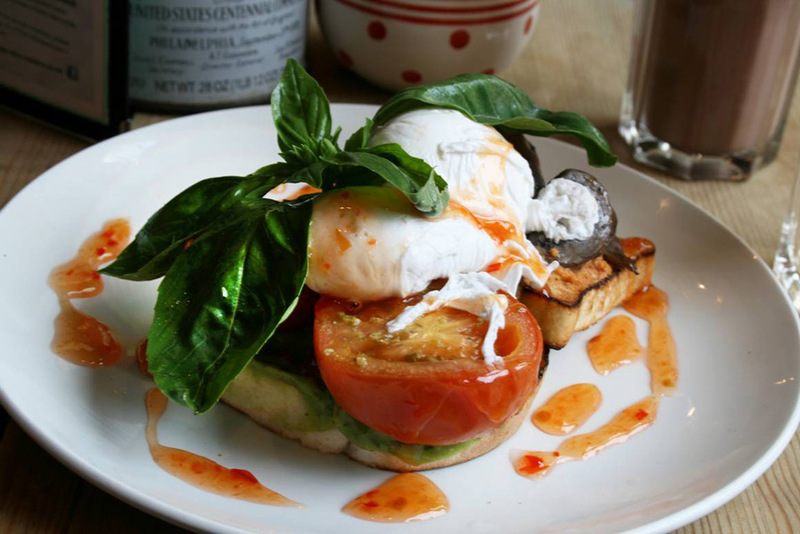 9 am | Start The Day With A Hearty Breakfast In Covent Garden. A guide on things to do in London in 1 day is incomplete without an English breakfast so with this tour of London, we start off with Covent Garden and a stops at Bill’s Restaurant. They serve up a mean breakfast but there are many other options in Covent Garden’s St Martin’s Court Yard. Here you will also find many shops and cafes. Look around and head to your next stop; Trafalgar Square. For most months, other than winter you will need a good mac as it gets cold in the evenings. An umbrella, comfy shoes, a camera, and a power bank. Below items to get you started. From Covent Garden check out Trafalgar Square. 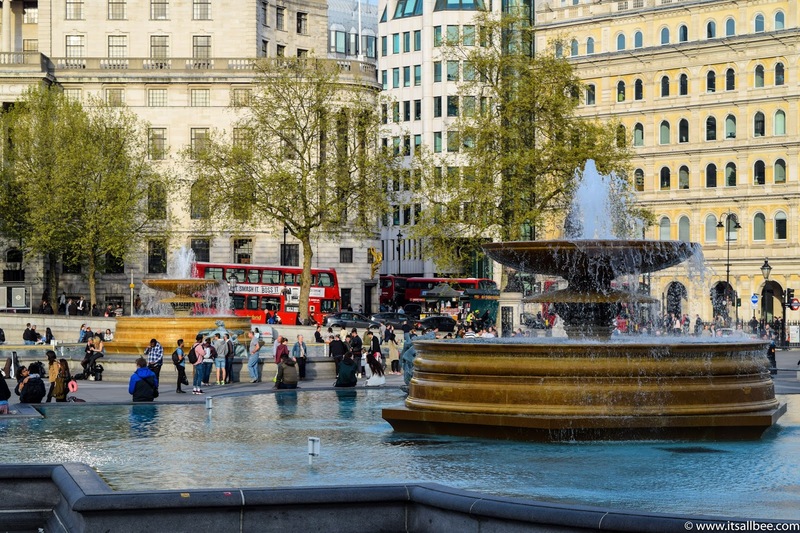 Trafalgar Square is surrounded by museums, galleries, cultural spaces, and historical buildings and easily one of the best places to visit London in one day. If are a lover of art you can book yourself on some of the free guided tours in the National Gallery here. 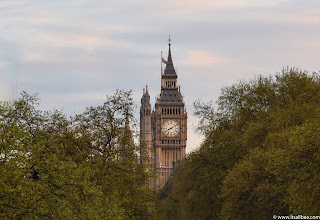 If you only have one day sightseeing in London this is definitely one place not to miss out on as from here you also have a good view of Big Ben but don’t be tempted to walk towards it just yet as you will miss two gems. From Trafalgar Square to the right of Big Ben you will see the entrance to the Mall. Walk this path(also see map below for directions) leading to the Mall. The end of that walk leads you to Buckingham Palace. Explore this area before disappearing into St James’s Park. When in the park locate the bridge to cross over to the other side of the park. The bridge offers a great view of the Horse Guards and London Eye. Find the directions to Big Ben on the map below for the next stop. Trafalgar Squarehas many historical features. From statues and fountains all dating back to the 1800s. Also, a great place for people watching. Buckingham Palace is the London residence and HQ of the reigning monarch of the UK. Also, a great place for a selfie as the backdrops are just a treat for the eyes. Big Ben – The Palace of Westminister. Big Ben is used to describe the tower, the clock and the bell, but Big Ben is in fact the Elizabeth Tower. Big Ben is the name of the Great Bell. Walk along Westminister Bridge and head to Southbank. This is the side you will find London Eye. Southbank is packed with many cafes and restaurants and plenty to look at. The full circle ride on the London Eye takes about 45 minutes. So you have the option of buying tickets and heading up there if you have the time and budget. (If you want to get on it I recommend coming back to it later in the day before sunset so you get bothsome day and early evening views from above). Otherwise, take some pictures and walk along here to get to the Skating Park. This area is filled with lots of street art and skateboarders. Behind the restaurants here, you will also find a market. There you can sample some great food all cooked right in front of you. From English, Indian, Italian, Japanese and more. Stuff that the pie hole and kick back from a few minutes before getting back on the Southbank walk for the next stop. London Eye is a giant Ferris wheel on Southbank. It’s also known as the Millennium Wheel. It’s the world’s tallest cantilevered observation wheel with 360 degrees of London views. They do 2FOR1 tickets on certain days. 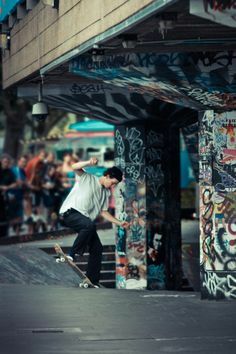 Southbank Skate Park is the unofficial skateboarding venue dating back to the 70’s. A great spot to stop for a few minutes and watch the skaters as they fought a hard fight to keep this place when the government tried to tear it apart and put shops up. Tate Modern is a modern art gallery. It’s also Britain’s national gallery for international modern art. Entrance is free. There are cafes and beautiful art inside, not to mention a great view of St Pauls Cathedral from the second-floor cafe. 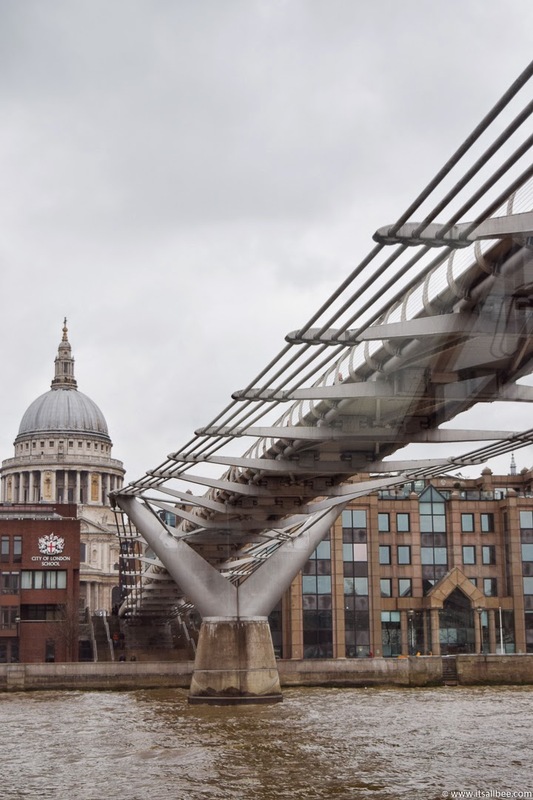 Walk across Millennium Bridge to view Sir Christopher Wren’s masterpiece; St Paul’s Cathedral – a great addition to places you must see in London in 1 day. St Pauls is an Anglican cathedral, the seat of the Bishop of London and the mother church of the Diocese of London. Constructed on Ludgate Hill, the highest point of the City of London. Entrance into St Pauls is £18 per person but the views are well worth the hundreds of spiral steps to the gallery. Make sure you also take the time to check out the Whispering Gallery with its world famous dome and stores to go with it. 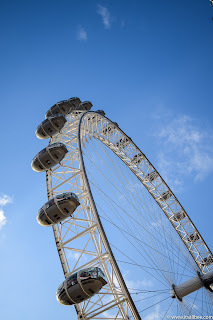 From London Eye, Skate Park, continue your walk along the river. You will pass under Waterloo Bride, then Blackfriars Bridge. As you walk, you will be able to viewSt Pauls Cathedral. Continue on this path until you get to Tate Modern. From Tate Modern, you will be in direct view of Millennium Bridge. Walking along the Bridge leads you to St Pauls. When done with St Paul’s, walk back to Millennium Bridge and continue walking along the bridge to see Shakespeare’s Globe Theatre. Millennium Bridge is a suspension bridge for pedestrianc crossing over the River Thames. It links Bankside with the City of London. 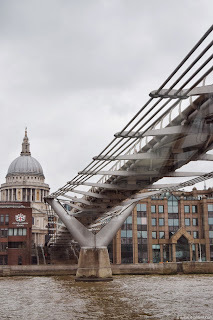 It also links St Pauls Cathedral on the Northbank with Tate Modern and Shakespeare’s Globe. 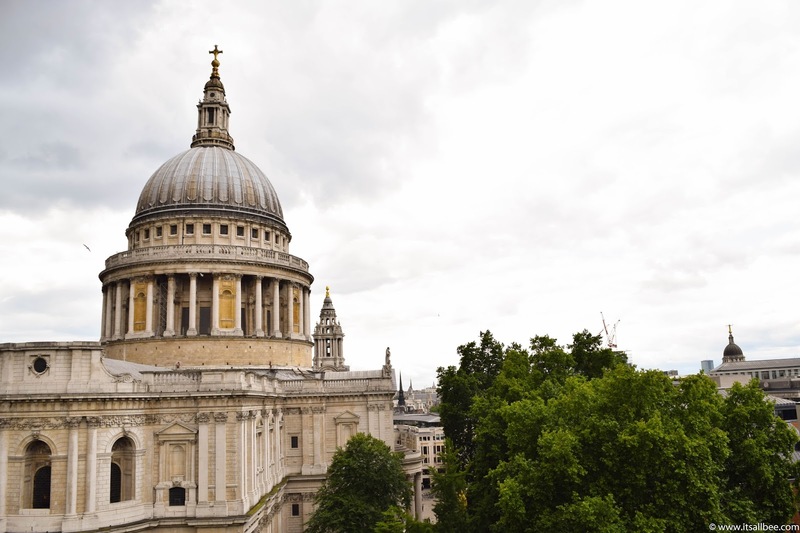 St Paul’s Cathedral is London’s most famous sight. It has dominated the city’s skyline for over 300 years. At 365 feet high it was also the tallest building in London between 1710 and 1962. Its also the second largest church building in the UK after Liverpool Cathedral. Shakespeare’s Globe Theatre is a theatre associated with William Shakespeare. The originally theatre built by Shakespeare’s playing company was destroyed by a fire and was then rebuilt and closed in 1613 and 1642. 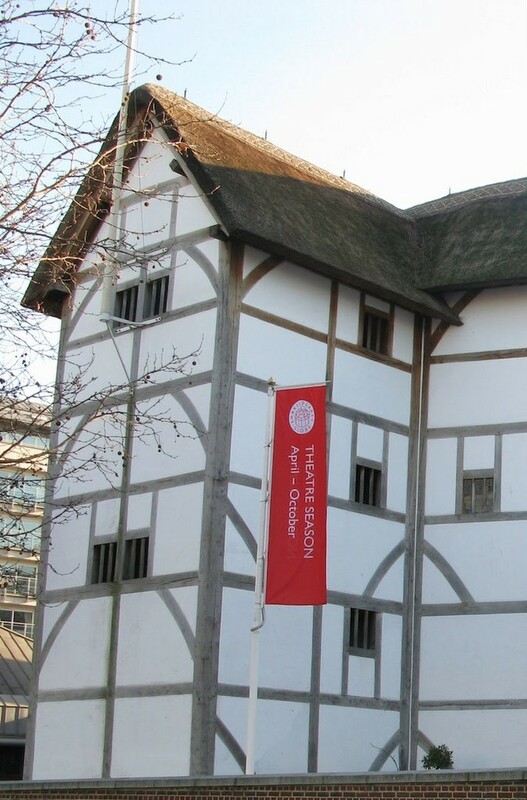 A modern reconstruction of the site was opened on the original site of the theatre and now named Shakespeare’s Globe. You have now passed Covent Garden, Trafalgar Square, London Eye, Southbank, Tate Modern, St Pauls and Global Theatre. If you haven’t had a chance to grab a bite from the restaurants along the river on the way to Borough Market then you are in for a feast! Borough Market is London’s oldest food market and is breeming with a mouth-watering range of foods. From Italian cheeses, Spanish foods, Indian and good old British fish and chips. It’s always lively and come evening you have city slickers talking business over glasses of wine in and around the bars and pubs that circle the market. It’s an absolute must on any itinerary covering what to do in 1 day in London. The market is open Monday to Saturday, full market Wednesdays to Saturday and Monday and Tuesdays with only hot food traders and fruit and veg stalls. This is also a great spot to grab breakfast on a Saturday morning before walking around London. Just because its a market doesn’t mean things come cheap so hunt around for a bargain or if you are after a “money is no object” type of treat then you are in the right place. There are over 100 stalls and stands with producers from all over the country and Europe so you will definitely find something to satisfy your taste buds. There are also plenty of Borough Market food tours perfect the most of your stay as well as combining it with explorations of London’s other markets. Borough Market is London’s oldest food market and is breeming with mouth-watering range of foods. From Italian cheeses, Spanish foods, Indian and good old British fish and chips. It’s always lively and come evening you have city slickers talking business over glasses of wine in and around the bars and pubs that circle the market. Tower Bridge is a combination of bascule and suspension bridge built between 1886 and 1894. 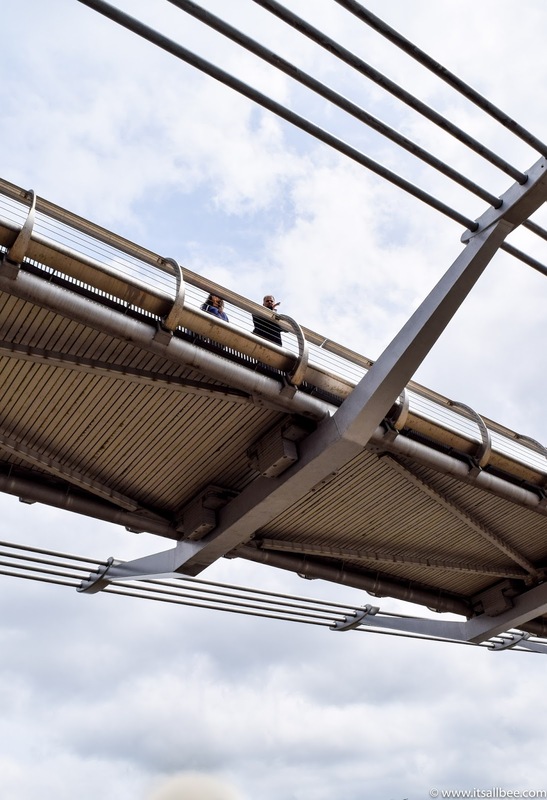 One of London’s most iconic Bridges and no visit to the city is complete without a stop to see this bridge. If you are in Luck you may also see it open for boats to pass through. If you have more time you can also check out the new attraction. Tower of London is a historic castle located on the Northbank of the Thames. Build by William the Conquerer. It was then used as a prison between 1100 and 1952. A stop here will have you discover the importance of the crown jewels to the monachy and the role Tower of London plays in protecting crown treasures. No visit to London is complete without checking out Tower Bridge., What every 1 day London sightseeing itinerary must include. As marvelling as seeing the bridge open to allow huge ships and boats to pass through, they have gone one better! Last year saw the unveiling of a brand new glass floor across the high-level of the Walkways. The new glass floor allows you to see cars and London’s famous red buses pass from right under your feet! Having walked all around the city you will most likely have spent most of your day on the above itinerary. This means by the end of it you will be dying to sit down and grab a glass of wine. There are many options around the river that you may have passed by the time you hit the last spot on the map. 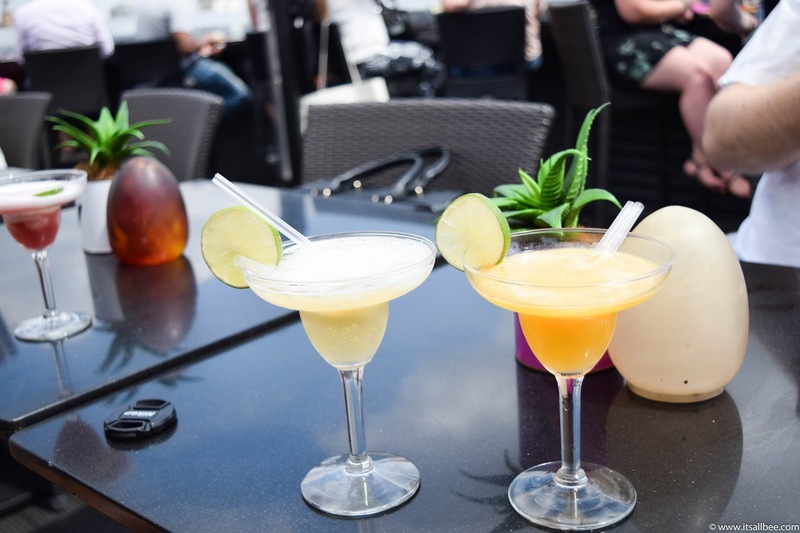 You can either grab a drink around the river or if weather permits check out London’s Rooftop Bars. The last stop is at the Tower of London which has a couple of cafes near by from Starbucks to pubs as well as hotel restaurants. London is huge but as far as where to stay, this really depends on your budget and how much time you have in the city. For central hotels near the heart of the city with easy access to tourist locations, check out Marriot Hotel which is right next to the London Eye and Big Ben. If you want views of London and a slice of luxury where the budget is no concern then you need to check out Shangri-La within The Shard or Mondrian within Sea Container House which comes with Views of London Eye and St Pauls Cathedral. 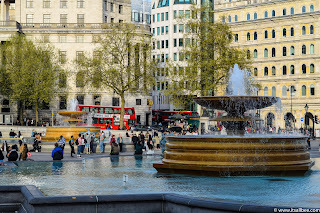 If you want to be near the heart of Oxford Street, Hyde Park and Palace within a stone’s throw and many a theatre show within reach then you need to check out Sofitel London, W in Leicester Square or these hotels and apartments in Piccadilly. For all other budgets big and small. Check out Booking.com, Trivago, and Expedia to compare prices. There you have it, my one day London Itinerary, don’t worry if you are not able to see everything thing as the attractions around the River Thames are so enticing that you may find that you want to spend longer in one of the places above. This is meant to serve as an inspiration to help you easily see as many of the tourist sights in London in one day. Look out for my 3, 4 and 5 day London itinerary posts soon! Enjoyed it? Share and Pin for later! London looks so beautiful! I've never been but it's definitely on my list. Right now, I'm still exploring my home continent, particularly the Caribbean so I'll make it over to London soon enough.. perhaps in a year or so. We'll be off to London in a few weeks to visit our son there, so I'll definietly put some of these on the to do list. London is amazing! There is always something new to see and enjoy. It is my all time favorite city! Are you being serious? Visiting must-see sights in London in one day? Woah. Not to mention no transportation! Good thing you pointed out the ‘heels in bag’ because my Instagram page must be filled with full-length shots of how I saw London in a day. Lol. Haha, always glad to inspire. Enjoy your London visit. One of my favorite cities in the world. I could honestly spend a solid month without ever getting bored and not finding different things to do. Saying this, if I only has one day I really do like your ideas of hitting the main unmissable parts of London carefully laid out in your map. Heya! I’m at work browsing your blog from my new iphone! Just wanted to say I love reading your blog and look forward to all your posts! Your one day London itinerary is making me want to book a trip to London now! Carry on the excellent work! I really like your blog. This is one of the best one day London itinerary I have come across. I am visiting London in February and have been trying to figure out the best way to spend time in London when you only have one day. THis is a perfect itinerary for London for sure. Thanks so much for putting in the effort. Thanks Linda. I hope you enjoy your trip to London. Safe travels. I have a 24-hour layover in London. It looks like I may have just stumbled on the perfect itinerary for my visit in London. I already feel as if I know the city! Thanks for this. I am really loving your website. I am visiting London with my mum and my sister and have been put in charge of putting together a 1 day London sightseeing itinerary before we fly out to Edinburgh. This is one of the best 1 day London intinerary. I think they will definitely be impressed. Thanks to you! That’s awesome. I am certainly glad you found what you were looking for. Have a great time in London with your family. My goodness, you have such amazing content on your blog. I wish we had more black travel bloggers showcased. So glad I came across your blog. I have been to London before but now looking for a 1 day in London itinerary as I have one day to explore after some business meetings in the city. Great blog. This is by far the best 1 day London itinerary I have seen. I am arriving in London in May and starting maybe a little too early for things to do in London but will be saving this to my mobile to have to hand and I will not have mobile data while in London. Thanks so much for your write up. Always glad to help. Have a great time in London. Haha, you are most welcome! Have fun. I have a very strict schedule at my new job so i have to scale down my travelling. I’m going to focus on city breaks but I have to be super organized to make the most of my time there. I’ve never been to London so this is spot-on for me, Bianca, thanks! I have been trying to figure out how to see London in a day. Saving this post for my trip. That great Alex. I am so glad you found with what you were looking for. You will definitely have to come back and visit London for more than a day. There is so much more to see and do. My friend and I are visiting London from Paris for a day trip and have been looking for the best way to see London in a day. I love that you have a London in a day map as well with your one day itinerary. This is such a perfect London day trip itinerary. Will share with my friend to see how she feels about following this itinerary when we visit London. Awesome. I am sure you will have an amazing time in London. This is so cool. I am in London on a layover and have been trying to search for tips on how to see London in a day. This is so cool. I love all your tips and the fact that I can walk every where too. Saving this as an offline guide for London. Thank you so much. That’s great! Have a great time in London. I am loving your London itinerary! Looks like you have included all the best things to see in London in 1 day. I am going to be back in London for a trip the second time around and this looks like a great way to do central London in one day. This itinerary looks like the makings of a perfect London day trip. I am visiting from Oxford. Will be saving this to my mobile. This is such a cool guide. One of the best way to see London in a day from all the London itineraries I have read so far.